Sooner or later, most organizations will face some kind of disaster—flood, fire, hurricane, earthquake, workplace violence, bombings, even the arrest or sudden death of the CEO. Existing books on crisis management deal almost exclusively with physical breakdowns, logistics issues, data losses and environmental and economic impacts. 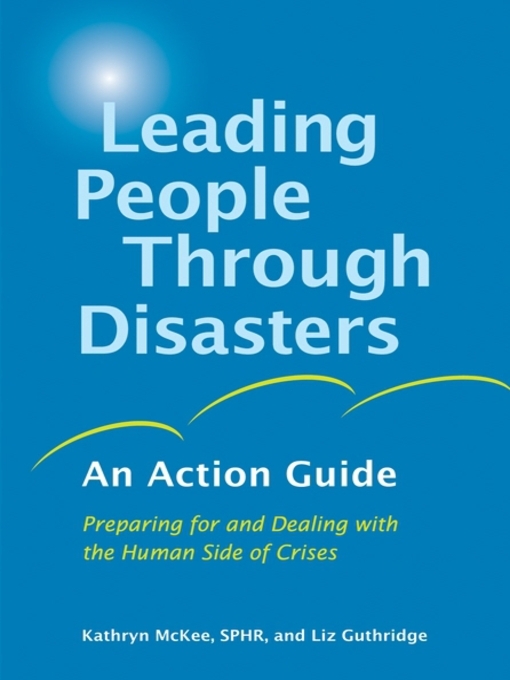 But it is people who actually make a business run, and Leading People Through Disasters is the first book to deal with the all-important human side of recovery. Kathryn McKee and Liz Guthridge show how to ensure that your business continuity plan addresses human as well as business issues and they offer detailed advice on what to do when disaster actually strikes—how to keep people safe, calm, and informed; help managers care for employees; and deal with employees' immediate and ongoing emotional and psychological needs while getting the organization back on its feet. This comprehensive guide features a wealth of examples, checklists, forms, and other practical tools that will help you take action when you need it most.